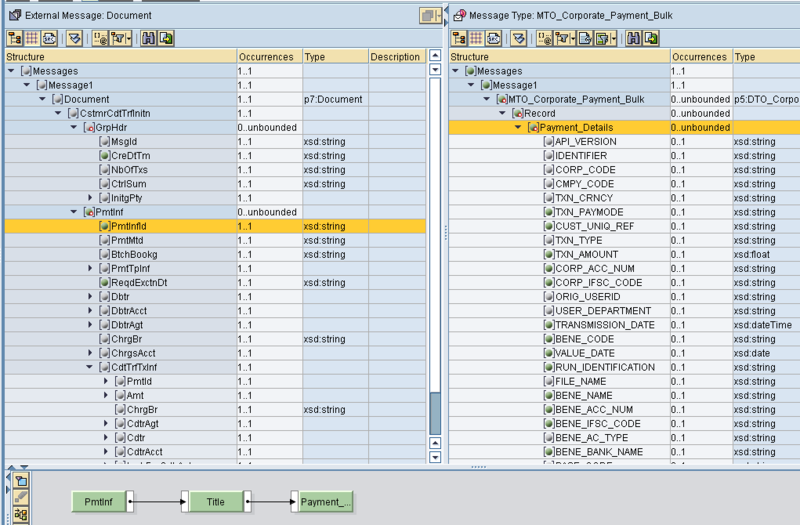 I configured one Splitting(multimapping) scenario i.e SFTP to JDBC, here source structure is xml. so my mapping is working fine in Message mapping level, here i used UDF for row and field splitting In message mapping we have achieved expected result. Your source XML contains Messages and Message1 nodes, i think you placed this same XML in the source folder and you are getting empty payload in the target side. You need to remove these two nodes when you place the file in the source directory because these two nodes PI will add when performing the multi mapping, only in the message mapping test you can include these two nodes not in the original source file. I have corrected the file and attached here, you can place the same file in the source and you will get expected result.